The larvae of this species feeds on a number of species in the genera Cassia and Senna on campus the most common species are Cassia javanica and Senna alata. Mature larvae green to greenish-yellow with a darker green line and a cream band; head pale green with black spots. 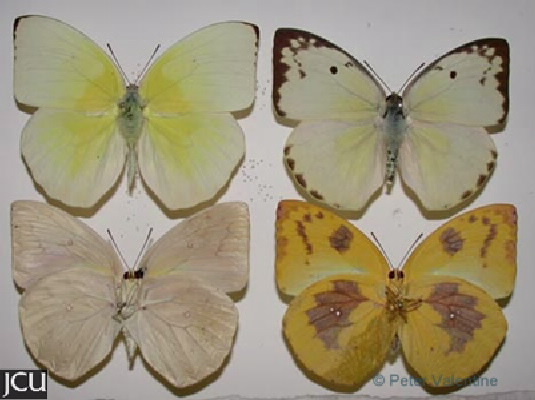 Adults variable in colour, chiefly lemon-yellow with an apical black margin, proportion of white and yellow is quite variable, lower surface paler.